The revenue of China’s communication equipment sector in the first half of 2018 rose by 10.9% y/y, boosted by increased sales of mobile communication station equipment, according to a report released by the Ministry of Industry and Information Technology (MIIT). The sector’s total profit during this period slid by 4.3% y/y due to increased costs. 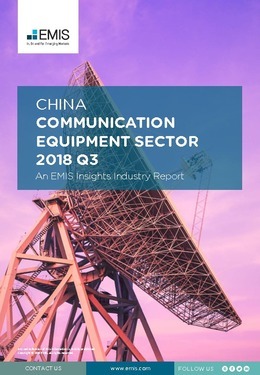 The gross value added of communications equipment manufacturing in H1 2018 increased by 13.4% y/y, higher than the 12.4% y/y growth of the electronic manufacturing sector, the MIIT said. The higher production of mobile communication station equipment contributed to the growth. From January to June 2018, the output of mobile communication station equipment was up by 1.2% y/y to 145.1mn gates, driven by increased construction of mobile communication base stations. At the end of June 2018, the total number of mobile communication base stations in China reached 6.2mn, up from 5.9mn a year earlier. Build a clear picture regional distribution and penetration rates.